Palestinian detainee Jihad al-Obeidi will be freed on 20 January after 25 years in Israeli prisons. His family has already started decorating their house in Jerusalem with colorful lights and Palestinian flags to celebrate Jihad’s freedom. They are excited to welcome him home and fill his place, which has been empty for 25 years. Jihad al-Obeidi was charged for affiliation with the Popular Front for the Liberation of Palestine and accused of trying to kill Israeli soldiers. He was sentenced to 25 years of detention, despite never having attended a trial. He was absent from the court that sentenced him, after he was expelled for refusing to stand for its racist judges. Jihad wrote to his family that the first place he will visit after his release will be the grave of his nephew, Milad Ayyash. 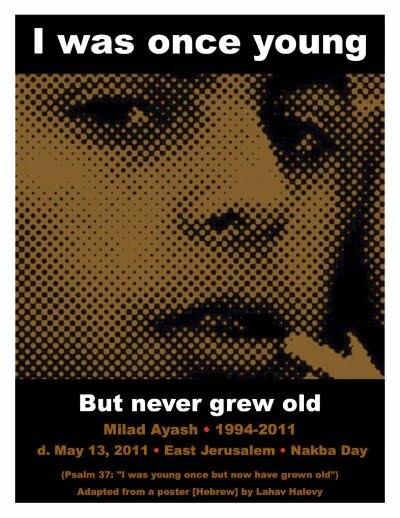 Milad was a 17-year-old boy whose life was cut short in May 2011 as he fell prey to an Israeli criminal who still walks freely somewhere, having escaped from justice by virtue of being an Israeli settler. Milad was killed when the settler’s bullet pierced his chest as Palestinians from the Silwan neighborhood of Jerusalem commemorated the 64th anniversary of the Nakba. The Nakba is the gloomiest period in Palestinian history, the year of mass killing, dispossession and systematic ethnic cleansing of three quarters of a million Palestinians from 513 Palestinian villages. The Zionist entity, what is called now Israel, was built on their ruins. The painful news of Milad’s murder broke Jihad’s heart. Filled with sorrow at his murder, Jihad decided to make Milad’s wish true and visit him first. He will visit his grave to show that Israel doesn’t kill our children, it immortalizes them, and that, sooner or later, Israel will be held accountable for all its crimes against humanity. 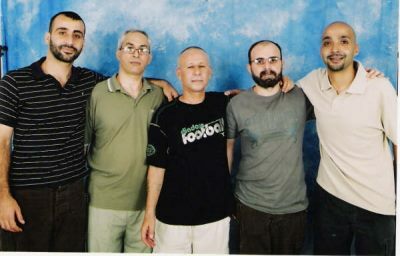 A scaned photo of Loai and his comrades taken in prison. Loai is on the very left. Jihad al-Obeidi is the send from the right. Loai Odeh, a detainee freed in the Shalit deal and expelled from Jerusalem to the Gaza Strip, sparked my curiosity to learn about Jihad al-Obeidi. During the open mass hunger strike launched on Palestinian Prisoners’ Day in 2012, dozens of people, including detainees’ relatives and ex-detainees, went on hunger strike in solidarity inside a sit-in tent in a Gaza park. Loai was one of the hunger strikers who took the sky as their ceiling and trees as their walls, with a surrounding tent to protect them from the sun. He decorated the tent behind his bed with pictures of detainees who he feels most attached to, including Jihad Obeidy. Lifta is a village on the northern fringes of Jerusalem, one of hundreds of Palestinian villages seized by the newly-established Jewish state in 1948. But it is one of the few not to have been subsequently covered in the concrete and tarmac of Israeli towns and roads, or planted over with trees and shrubs to create forests, parks and picnic areas, or transformed into Israeli artists’ colonies. The ruins of Lifta were threatened many times with being bulldozed and turned into luxury housing units. A sigh, and a moment of silence, followed that sentence, as if Umm Jihad meant to remind everyone that her village is originally Palestinian, and that for the injustice Palestinian people face, we continue to struggle and pay the price of freedom. For many Palestinians, Lifta is a symbol of the Nakba, of their longing for their land and bitterness at their continued refugee status, a physical memory of injustice and survival. Since Jihad was arrested, his mother fell into depression, then became ill with cancer. She went through chemotherapy and four surgeries. However, her longing to see her son again served as her source of strength. Her fear of passing away before hugging her son again never left her mind. She was able to visit him only once every year because her critical health wouldn’t allow her to travel far. 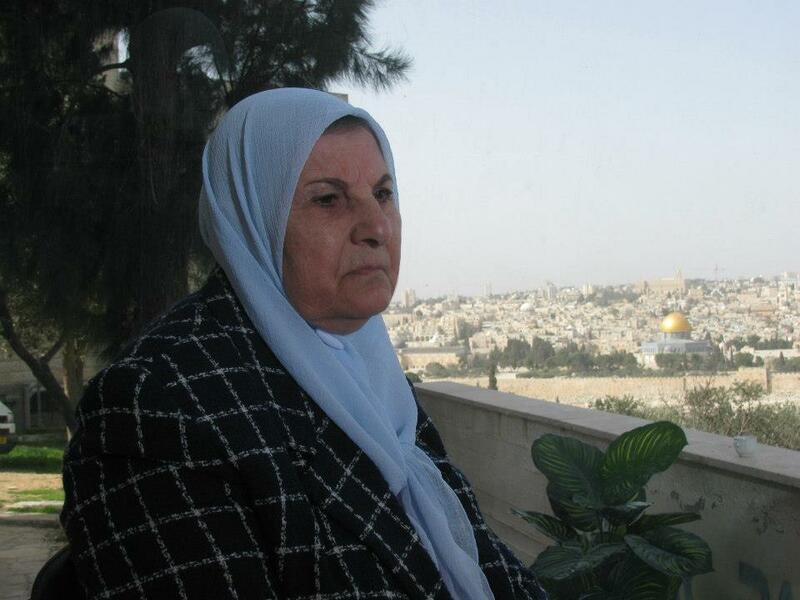 Jihad will be free in a matter of few days, but these days feel like years to his mother. Jihad’s parents, like all detainees’ parents, suffered from the Israel Prison Service’s (IPS) ill treatment, especially during family visits. In Jihad’s twenty-five years of detention, the IPS transferred him between almost every Israeli jail, so that he never enjoyed a sense of stability. They never considered the distance between his jail and his family’s house. For years, Jihad’s parents traveled long distances to reach prisons, then suffered verbal and physical harassment, humiliation, strip searches and long hours of waiting. My message to Jihad al-Obeidi: this post is dedicated to you, to congratulate you in advance for your physical freedom. Israel has only succeeded in imprisoning your body, but never your mind, nor your determination and everlasting hope for complete freedom. I’ve always looked at you, and all your comrades who sacrifice their most precious years for the sake of our freedom and dignity, as heroes. You’re the most dignified and the most courageous. Be certain that your people in Gaza are as excited for your freedom as your people in Jerusalem. Israel’s apartheid walls and checkpoints will never manage to make us apart. 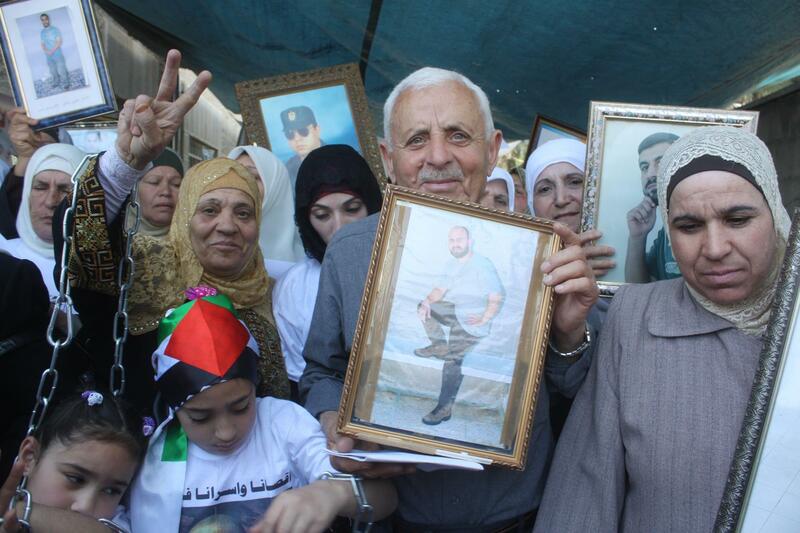 I know your happiness will be incomplete, as more than four thousands of your comrades remain inside Israeli jails. But we will raise our voices higher and continue to fight until all jails are emptied. This entry was posted on January 13, 2013 by Shahd Abusalama. It was filed under Palestinian Political Prisoners and was tagged with 1985 prisoners exchange, East Jerusalem, Gaza, Israel, Jihad al-Obeidi, Lifta, Loai Odeh, Milad Ayyash, Nakba, Nakba day, Palestine, Palestinian Political Prisoners, Palestinian Political Prisoners' Day, Political prisoners. May he find some peace and comfort upon his release from hell. After reading the above, only world came to mind, Shahd! new stuff proper here! Best of luck for the following!